A thirty-second spot on ABC's "Roseanne" will cost advertisers $375,000 next year. "Roseanne" is the No. 1 show of the past television season. It's a comedy of lower-middle-class resentment, of a particularly modern kind. The heroine is a woman who struggles to balance the obligations of holding a job and raising a family in a world of sexism, oppressive bosses, dead-end jobs, pinched finances, and other social forces generally unhelpful to people in her position. It's often funny. And whenever I watch, I can't help thinking: If this is the most popular television show in the country, why can't the Democratic Party win a national election? What has Hollywood figured out that the Democrats haven't? Drug czar William Bennett, looking for another publicity hit, recently took on Bart, the bratty ten-year-old Simpson son. Spying a Bart poster at a drug rehabilitation center, Bennett scolded, "Your guys aren't watching 'The Simpsons,' are you? That's not going to help you." Apparently Bennett was taking his cue from a few humorless educators who have objected to a popular Bart Simpson T-shirt declaring. "Underachiever and proud of it." The czar beat a hasty retreat when the entire country responded as one with another Bartism: "Don't have a cow, man." He claimed he'd never actually seen the show and had nothing against it. However, Bennett's dismay, whether feigned or sincere, was justified. "The Simpsons" is no threat to drug rehabilitation. But, like "Roseanne," it is a direct challenge to Republican claims to be the party that is addressing middle-American values and concerns. The Simpson family seems a bit better off than the Conners of "Roseanne"—the cartoon Marge Simpson doesn't work, an option not available to her all-too-fleshly sister, Roseanne Conner—but the Simpsons, too, suffer from economic and spiritual alienation, not to mention an environment ravaged by nuclear and toxic wastes. Ever since Ginger Rogers's mother complained to the House Un-American Activities Committee that a movie featuring her daughter had contained the line. "Share and share alike—that's democracy," right-wingers have worried that Hollywood lefties are infecting innocent audience minds with progressive notions. A recent newsletter from something called the Media Research Center reviews another successful sitcom, "Designing Women" (CBS). In one particular episode, the reviewer notes with distress, the characters "became union advocates after witnessing terrible working conditions at a curtain factory… . Conveniently ignored: mandatory union dues and membership, other approaches to solving labor problems, and American unions' long-standing track record of helping liberal Democrats and liberal causes." A disgraceful artistic lapse, to be sure. But advertisers aren't paying $375,000 for thirty seconds to finance the spread of left-wing agitprop. They're paying because people are watching. The producers and writers of "Roseanne" and "The Simpsons"—though possibly Democrats and certainly not devoid of artistic ambition—are creatures of commerce as well. If their shows have a liberal slant, which they do, it's obviously a slant they think—correctly—will sell. It's puzzling, therefore, that liberal politics can't sell. Even more puzzling: Hollywood's growing influence on the Democratic Party is widely believed to hurt the party in its efforts to reclaim the middle-American "silent majority" that has been going Republican since Nixon. In their overt politics. Hollywood liberals are more interested in El Salvador and tropical rain forests than in the meat-and-potatoes concerns of traditional Democratic constituencies. Yet in its commercial life. Hollywood is brilliant at appealing to these very constituencies on liberalish themes. "Roseanne" and "The Simpsons" both celebrate "family values," but with a left-wing twist: the family as a haven from the cruelties of the economic marketplace, and as threatened by those same economic forces. Roseanne loses her job when she won't work overtime on the weekend. She is reduced to selling magazines by telephone. (To one prospect: "Well, I'm not interested either, but it's my job.") Up for a position as secretary to some deskbound big shot (alienated personnel director, a black woman: "the man doesn't even need a secretary, he doesn't do anything …"), she's disqualified because she doesn't know how to use a computer. Homer Simpson, meanwhile, loses his job at the nuclear plant but despairs of qualifying for one at the toxic waste dump: "I'm not a supervising technician, I'm a technical supervisor!" Roseanne and Homer are obviously heirs of Ralph Kramden and Archie Bunker. But the American Everyman has changed, and not just because one of them is a woman. For one thing, compared with their TV ancestors, the Simpsons and the Conners are well off. They live in nice houses, compared with Ralph and Alice Kramden's stark walk-up flat. Homer Simpson wears a tie to work. Dan Conner is some kind of independent construction contractor. In short, they are not your traditional "working class." They are the new middle class, making a good living during good times at postindustrial sorts of jobs, but obsessed with what the social critic Barbara Ehrenreich calls "fear of falling." It is this sense of the precariousness of middle-class life—fed by two decades of stagnant median family income—that the Democratic Party has spectacularly failed to tap. 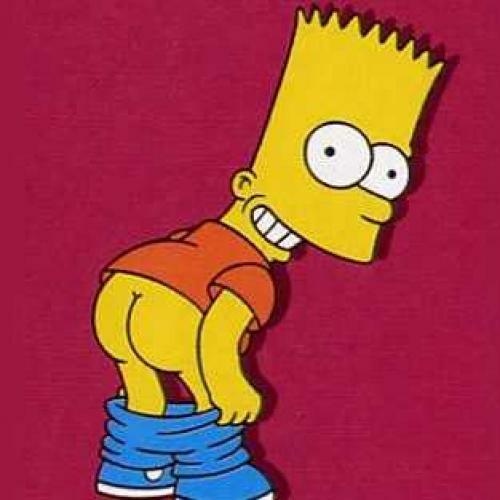 Then there's Bart. He's not a bad kid, merely an independent spirit. That makes him genuinely dangerous. We cheer when he cheats on an IQ test, because the teacher has explained: this won't affect your grade in class; it will merely determine your fate for the rest of your life. "How important is it to be popular?' he asks his father. "I'm glad you asked, son," says the hapless Homer. "Being popular is the most important thing in the world." Of course the point of the episode is to teach the opposite lesson. And by pursuing his own independent course, true to his ideals, Bart now is even more popular than Mr. Popularity-Above-All, George Bush. Which is a lot more than any flesh-and-blood Democrat can claim. Michael Kinsley is a former editor of The New Republic and a senior editor for The Atlantic.